WINNIPEG, Sept. 27, 2016 /CNW/ - BCE Inc. (Bell) (TSX, NYSE: BCE) and Manitoba Telecom Services Inc. (MTS) (TSX: MBT) today announced a transformative investment in Manitoba's digital economy with plans to bring the most advanced broadband and wireless services available to Innovation Alley, the growing community of innovators, entrepreneurs and artists in downtown Winnipeg. Innovation Alley is a hub for innovators, entrepreneurs, students and artists covering 4 city blocks in Winnipeg's West Exchange District. Entrepreneurs with creative ideas can access the office space, technology, mentoring and other resources available at Innovation Alley, which is aligned with community economic development agency North Forge Technology Exchange. The Innovation Alley cluster has helped dozens of Manitoba companies start and succeed in the digital innovation economy, attracting tens of millions of dollars in private sector investment, driving hundreds of millions of dollars in sales, and creating hundreds of skilled jobs. With this new 3-year Bell MTS sponsorship, Innovation Alley will be the launch point for deployment of Gigabit Fibe Internet and LTE-Advanced wireless following the closing of the Bell MTS transaction. These broadband enhancements for Innovation Alley are part of the Bell MTS plan to invest $1 billion over 5 years to accelerate broadband communications services throughout Manitoba. "We are taking our relationship with Innovation Alley to an entirely new level with this announcement," said Jay Forbes, President and CEO of MTS. "Providing state-of-the-art communications services and connectivity to this community of entrepreneurs and artists will support the continued growth and success of Innovation Alley. We are proud to continue our long history of supporting both our community and innovation." "As a burgeoning centre of technology development and opportunity, Innovation Alley is a key driver of Manitoba's growing digital economy," said George Cope, President and CEO of BCE Inc. and Bell Canada. "Bell is delighted to join with MTS to enable the students, creators and entrepreneurs of Innovation Alley to build even more Manitoba success stories with the power of Canada's best broadband networks and services behind them." "Technology companies in Manitoba are coming out of the gate looking well beyond local markets to build distribution, talent, and customers. Our companies need best-in-class technology backbone to compete on the world stage, which is exactly what Bell MTS is delivering," said Chris Johnson, CEO of Permission Click, a global tech start-up with its head office on Innovation Alley. "The Bell MTS injection into the entrepreneurial and innovation space goes well beyond infrastructure; leading by example, they are showing our community the importance of investing in a future where new startup companies will get further, faster, growing the sector and our economy as a whole." "Cutting edge companies require world class networks and digital infrastructure," said Jeff Ryzner President of North Forge Technology Exchange. "Bell MTS have announced transformational investments that will accelerate the rate of growth of the innovation economy in Winnipeg, and attract more entrepreneurs, generate more ideas and foster even greater collaboration within our exciting startup community. This collaboration will grow from the heart of Winnipeg and extend to Manitoba's borders and beyond." "Our government understands the importance of fostering an environment where the strengths and abilities of entrepreneurs can flourish," said Brian Pallister, Premier of Manitoba. "We welcome investments in technology and innovation like those announced today which will provide Manitoba start-ups and businesses the opportunity to capitalize on new opportunities." "One of Winnipeg's best kept secrets continues to be our emerging innovation and technology sectors," said Mayor Brian Bowman. "Innovation and technology fuel economic growth, and this historic investment will help build Winnipeg for the future. Innovation Alley demonstrates how our city is home to great ideas and people, and with this investment from Bell and MTS, our entrepreneurs will have additional tools to help them take on the world, break new ground, and continue to achieve international success and recognition." "Winnipeg continues to emerge as a home to world-class innovation and development. Today's agreement announced by Bell MTS and the Innovation Alley community will help continue the momentum that is building in Winnipeg," said Dayna Spiring, President & CEO, Economic Development Winnipeg. "The creative force of Innovation Alley will scale to new heights thanks to Bell and MTS and the powerful next generation communications technology they will bring to customers right across Manitoba. This technology rollout will have a significant impact on the innovation community in Winnipeg and across the entire provincial economy." On May 2, Bell announced the acquisition of MTS in a transaction valued at approximately $3.9 billion, and a 5-year, $1 billion commitment to expand broadband fibre and wireless communications services in Manitoba following the closing of the transaction, expected in late 2016 or early 2017. The Bell MTS investment plan includes the rollout of Gigabit Fibe Internet service, offering access speeds up to 20 faster than those currently available in Manitoba; Fibe TV, Canada's best TV service as rated by consumers nationwide; and Bell's award-winning LTE wireless network, acknowledged internationally as Canada's fastest mobile service. In addition to the support for the Innovation Alley community announced today, Bell and MTS have also announced plans for deployment of advanced broadband services to the town of Churchill, continuous broadband wireless coverage along Highway 75 in southern Manitoba and the expansion of mobile and wireline broadband networks in northern Manitoba, including along Highway 6 to Thompson, in Flin Flon and in 5 small indigenous communities. Following Bell's acquisition of MTS, the combined company's Manitoba operations will be known as Bell MTS. Winnipeg will become headquarters for Bell's entire Western Canada team, which will grow to 6,900 people in Manitoba, Saskatchewan, Alberta and British Columbia with the addition of MTS's 2,700 Manitoba employees. This news release contains forward-looking statements and information (collectively, the "forward-looking statements") including, but not limited to those relating to a statutory plan of arrangement under section 185 of The Corporations Act (Manitoba), pursuant to which, among other things, BCE intends to acquire all of the issued and outstanding common shares of MTS (the Arrangement), the expected timing of, and certain strategic, operational and financial benefits expected to result from, the Arrangement, our network deployment and capital investment plans in Manitoba, our business outlook, objectives, plans and strategic priorities, information concerning MTS and BCE, and other statements that are not historical facts. Forward-looking statements are typically identified by the words assumption, goal, guidance, objective, outlook, project, strategy, target and other similar expressions or future or conditional verbs such as aim, anticipate, believe, could, expect, intend, may, plan, seek, should, strive and will. All such forward-looking statements are made pursuant to the "safe harbour" provisions of applicable Canadian securities laws and of the United States Private Securities Litigation Reform Act of 1995. Forward-looking statements, by their very nature, are subject to inherent risks and uncertainties and are based on several assumptions, both general and specific, which give rise to the possibility that actual results or events could differ materially from our expectations expressed in or implied by such forward-looking statements. As a result, we cannot guarantee that any forward-looking statement will materialize and we caution you against relying on any of these forward-looking statements. The forward-looking statements contained in this news release describe our expectations at the date of this news release and, accordingly, are subject to change after such date. Except as may be required by Canadian securities laws, we do not undertake any obligation to update or revise any forward-looking statements contained in this news release, whether as a result of new information, future events or otherwise. Forward-looking statements are provided herein for the purpose of giving information about the Arrangement and its expected impact, including our network deployment and capital investment plans in Manitoba. Readers are cautioned that such information may not be appropriate for other purposes. Completion and timing of the Arrangement are subject to a number of conditions precedent and termination rights, some of which are outside MTS' and BCE's control, including, without limitation, receipt of the required regulatory approvals, the operation and performance of the MTS business in the ordinary course until closing of the Arrangement, the absence of a material adverse effect, including no award being in force, which would result in a material adverse effect and no action being pending or threatened (other than frivolous or vexatious actions) against or involving MTS or its subsidiaries that, if decided against MTS or its subsidiaries, would result in a material adverse effect, and compliance by MTS with various other covenants contained in the arrangement agreement between MTS and BCE dated May 1, 2016, all of which are subject to important risks, uncertainties and assumptions. There can be no certainty, nor can MTS or BCE provide any assurance, that all conditions precedent to the Arrangement will be satisfied or waived and that the Arrangement will occur, or, if satisfied or waived, when they will be satisfied or waived. If the Arrangement is not completed, the market price of MTS' common shares may be materially adversely affected. Moreover, a substantial delay in obtaining the required regulatory approvals or the presence of an award or action that would result in a material adverse effect could result in a prolonged extension of the outside closing date. The Arrangement could be modified, restructured or terminated. There can also be no assurance that the strategic, operational or financial benefits expected to result from the proposed transaction, as well as our network deployment and capital investment plans in Manitoba, will be realized. The nature and value of capital investments planned to be made in Manitoba over 5 years assume completion of the Arrangement as well as our ability to access or generate the necessary sources of capital. However, there can be no assurance that the Arrangement will be completed or that the required sources of capital will be available with the result that the actual capital investments made by us in Manitoba during such period could materially differ from current expectations. For additional information on assumptions and risks underlying certain forward-looking statements made in this news release relating, in particular, to our network deployment and capital investment plans, please consult BCE's 2015 Annual MD&A dated March 3, 2016 (included in the BCE 2015 Annual Report) as updated in BCE's 2016 First and Second Quarter MD&As dated April 27, 2016 and August 3, 2016, respectively, filed by BCE with the Canadian provincial securities regulatory authorities (available at Sedar.com) and with the U.S. Securities and Exchange Commission (available at SEC.gov). These documents are also available at BCE.ca. Additional information is also available in the Risks and uncertainties section of MTS's 2015 annual MD&A and MD&A for Q1 and Q2 of 2016, each of which are available at www.mts.ca/aboutus and on Sedar.com. At MTS, we're proud to be Manitoba's leading information and communications technology provider. We're dedicated to delivering a full suite of services for Manitobans – Internet, Wireless, TV, Phone Service and Security Systems plus a full suite of Information Solutions, including Unified Cloud and Managed Services. Canada's largest communications company, Bell provides consumer, business and government customers with a comprehensive and innovative suite of broadband wireless, TV, Internet and business communication services from Bell Canada and Bell Aliant. Bell Media is Canada's premier multimedia company with leading assets in television, radio, out of home and digital media. 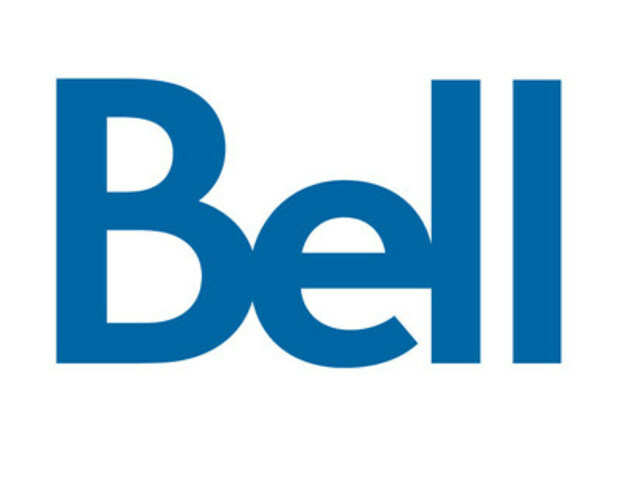 Founded in Montréal in 1880, Bell is wholly owned by BCE Inc. (TSX, NYSE: BCE). To learn more, please visit BCE.ca or Bell.ca.